I post about EDC's constantly because I am either running a particular setup to vette it or because I need to show a certain group of people what works in what capacity and why. There are always a few constants which come up, other than my EDC FDE Gen3 G19. The Flatpack with High-Viz tabs has become a solid member of my EDC. I change out tourniquets as I need to and have been giving the RATS TQ some carry time. I know this photo shows the RATS with its red band but I have removed it since the photo as the Flatpack does not need redundancy in this particular application. 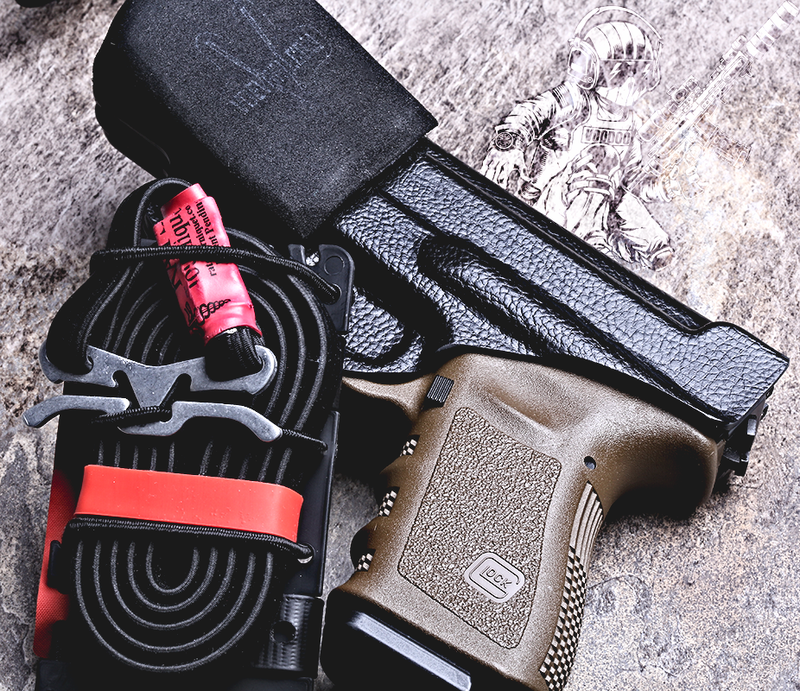 Also in the photo is my go to EDC V Development Group Seraph AIWB Holster with the premium neoprene wedge they offer. You can also see the SCD Poking out from the back of my EDC Glock. It works, you need one.